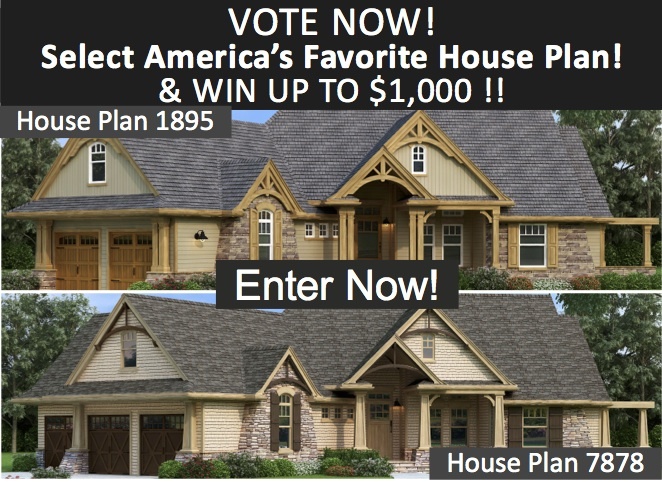 Last Chance to Enter America’s Best-Selling House Plan Contest sponsored by The House Designers! Win up to $1,000 in Prizes!!! For the last 5 weeks The House Designers have been asking everyone to vote for their favorite version of America’s favorite House Plan. So far the luxury house plan version is gaining the most votes. Don’t miss your opportunity to voice your opinion and be entered to win up to $1,000 in prizes! House Plan 7878 – Vita di Lusso, is the more luxury home design that includes a 3-car garage option and finished walk-out basement. 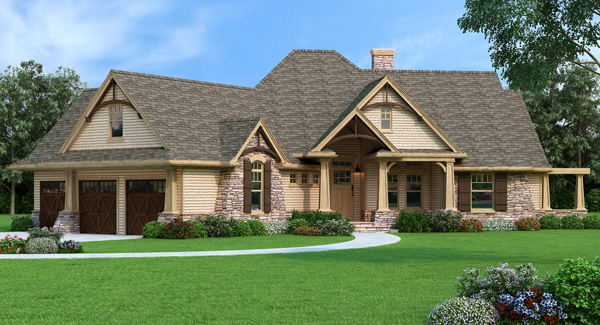 The interior features high-end Craftsman styling, as well as a gourmet kitchen layout.